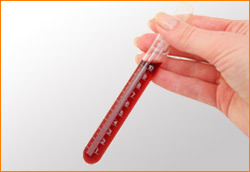 Trouble shooting - Especially middle distillates and heavy fuels. Problem solving, stability, microbial growth, and other contaminates. Heating Oil Designed to stop fuel-related service calls. Diesel Fuel with Emission Control Formula Designed to improve efficiency and reduce soot, smoke and engine maintenance. Boiler Fuel Designed to reduce scale, emissions, and improve heat transfer. 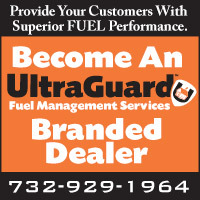 The Fuel Manager Program is a fuel quality enhancement program designed to grow residential customer loyalty to Heating Oil - as an industry in general and specifically to UltraGuard™ dealers. The object of this program is to reduce customer turnover, grow the number of customers and to increase margins. 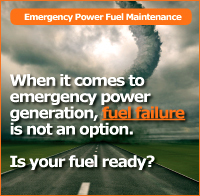 The Fuel Manager Program works because of a quality assurance program that minimizes the incidence of customers out of heat as a result of fuel quality problems. Today's highly efficient heating systems have no tolerance for particulate in the fuel, much like today's automobile fuel injection systems that have no tolerance for "dirt" in gasoline. The problem lies in the fact that today's refining procedures result in a fuel that generates more particulate than at any time in our history. The solution to these needs is fuel and tank maintenance following the Fuel Manager guidelines and using UltraGuard™ fuel additives. TANK PREP CHEMICAL TREATMENT Enhance tank cleaning prior to using ethanol blends, biodiesel and bioheat, and ULSD. There are many fuel changes happening now and more planned in the near future. Most of these changes will benefit all of us in the long run. There are a few cost-effective steps that can be taken to minimize problems with ethanol blends, biodiesel blends and ULSD that will soon be delivered to tank storage systems. Preventive maintenance is needed because tanks actually get used to what is stored in them. How can tanks get used to something? After all, aren't they inanimate objects? The answer lies in chemistry. These petroleum fuels are forming insoluble gums and resins that deposit films or "skins" on the tank's internal surfaces. Water through condensation is collecting at or near the bottom of the tank. Bacteria and fungus spores enter the tank through the vent with the moist air and wind up in the condensate near the bottom of the tank. These spores then utilize the oxygen from the moisture and the hydrocarbons from the fuel for nutrients and begin to establish themselves, adding to the solids content in the tank. The real problems start when we introduce fuels with different solvency characteristics. An example is gasoline with ethanol, which is more of a solvent than is gasoline without ethanol. The result is the ethanol-containing fuel will loosen the resins from the tank surfaces and foul dispenser filters and/or vehicle fuel metering systems. In addition, water along with any debris that has collected in the tank bottoms will lift into the ethanol containing fuel. The same is true for biodiesel and ULSD fuels. When ULSD is added to a tank with the sludge and films from previous fuels with higher sulfur contents, it would be possible for the dissolving materials to increase the ppm of sulfur moving into the tank out of compliance. The solutions are to use a chemical additive such as ILFC, Inc.'s #1032 Fuel Inhibitor that will disperse any organic resins into microscopic particle sizes that will not impact either the dispenser or vehicle fuel metering systems and to physically clean the storage systems. Another benefit of the additive package: corrosion inhibitors to protect the tank from the corrosive characteristics of the new fuels. We recommend use of ILFC Inc.'s #1032 Fuel Inhibitor prior to your company's physical cleaning of a tank. This will enhance the removal of collected water and sediment by the pumping systems used because emulsions are broken and more of the resins will be readily removed. The separation of water from the fuel also reduces the volume of waste and increases he amount of resins and films removed. Currently, Fuel Management Services, Inc. is working with a number of companies in providing tank prep chemical treatments to enhance tank cleaning with the "new" fuels. Please contact us for further information. Combining our laboratory, fuel additives, and almost 50 years of experience to make stored fuel perpetually reliable.